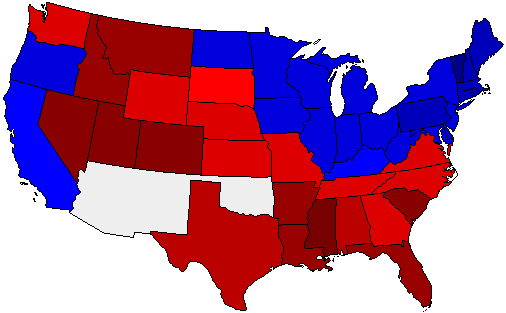 Democratic electoral votes were cast for two Vice Presidential candidates: Arthur Sewall (149) and Thomas Watson (27). Click on Elect Vote button for details. In California, the direct election of the nine presidential electors combined with the closeness of the race resulted in a split between the Republican and Democratic electors: eight for McKinley and one for Bryan. The elector whom received the most votes was an elector for McKinley. In Kentucky, the direct election of the 13 presidential electors combined with the closeness of the race resulted in a split between the Republican and Democratic electors: twelve for McKinley and one for Bryan. The elector whom received the most votes was an elector for McKinley. Electoral Vote Map Note: there is no implied geographical significance as to the location of the shaded areas in states with split electoral votes.